Stop bringing lots of potions in your inventary everytime, with this mod. Gem Buffs 1.7.10 is a mod that adds a new mineral in the game. This new mineral allow us, by the mix of other objects in the crafting table, create gems with different effects which will emulate, remix or improve the effect of some of the game potions. The most prominent feature of the mod, beyond enjoying of the altered effects which this gems produce on your character’s body, is the fact that you don’t have to bring lots of potions in the inventory. You just have to right click holding a gem in your hands and the effects will be activiated without limits, that means they are infinite. 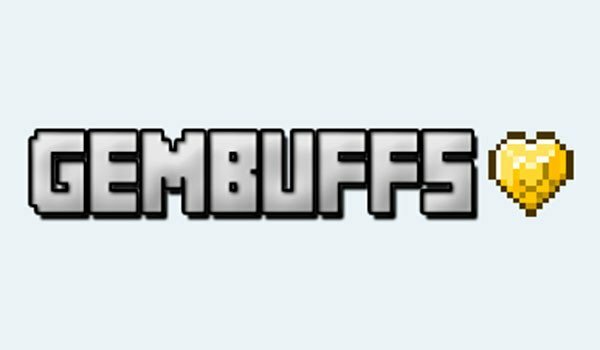 How to install Gem Buffs Mod for Minecraft 1.7.10?